Welcome to My Projects to Go! I am so happy that you have chosen to purchase one of my Projects to Go. No matter what option you choose, I will be stamping right along with you! These projects can be completed using the stamps you have on hand, or you can purchase any of the ones listed in the tutorials. My projects are not considered a kit or a cash & carry item. When you purchase Option 1 of my Projects to Go, you are actually pre-ordering the supplies to complete the project. Once your payment has been received, I personally place your order directly with Stampin’ Up! After I receive your products, I package it all up with all the materials you will need (excluding items such as scissors or adhesives) to create each of the projects for that option. 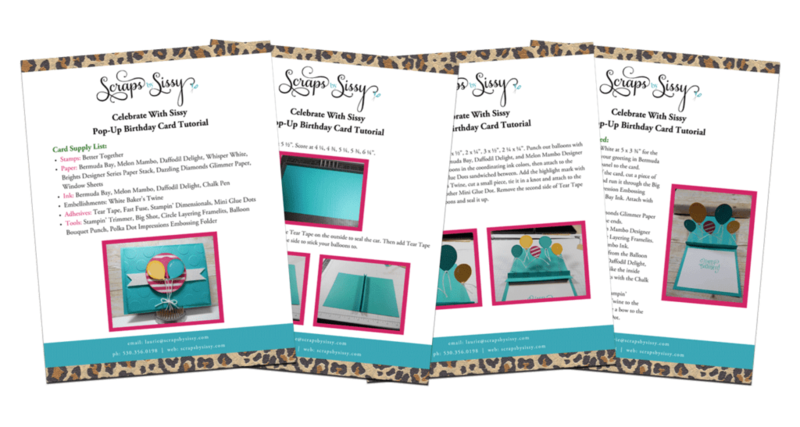 For Options 1and 2, along with your packets I will mail out, I will email you a link to the video tutorial along with a downloadable PDF file with step-by-step instructions. For Option 3, you will receive the link to the video and the downloadable PDF file only. For all options, the video is yours to keep. You can watch it as many times as you like, whenever you like. It will be like having me right in your home crafting right beside you! These projects are perfect for any crafter, new and experienced alike. If you purchase Option 1 or Option 2, I will be placing the order on the 16th of each month and should have your product within 7-10 business days from then. Please don’t hesitate to reach out if you have any questions at all! All orders placed may be cancelled until the 15th of the month for full refunds. After orders have been placed on the 16th of the month, any Stampin’ Up! supplies purchased may be returned unused within 90 days of shipping date for a merchandise only refund less return shipping fees. For Option 3, digital only option, there will be no refund. 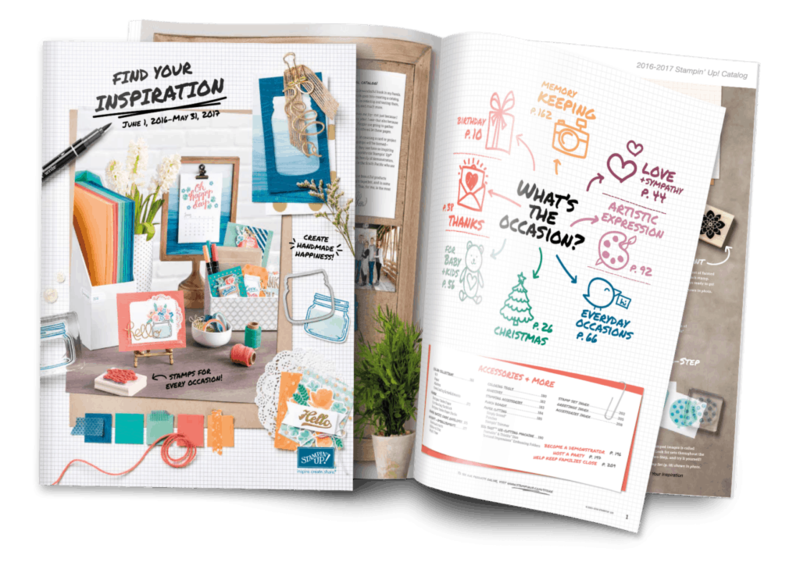 All new customers will receive a copy of the upcoming catalog as a bonus with each purchase!